Inflatable businesses are continuously transporting equipment to and from events. Don’t miss out on this opportunity to further promote your business. Whether you transport your inflatables by truck, van or car, you can easily turn your vehicle into an effective marketing tool. Always remember to include all of your contact information on your vehicle signage, include company name, a short phrase about the services you provide (if the company name doesn’t speak for itself), phone, web and an email address. You may even want to consider incorporating an eye-catching image of your products or logo on your vehicle. If you are operating on a budget make sure the lettering is bright and stands out, but is still easy to read at a distance. One of the highest quality vehicle signage that you can choose for your company is vinyl lettering. This can be applied anywhere on your vehicle and the possibilities are endless. Logos or images are screen printed onto decals and applied directly to your vehicle. When having your sign made from vinyl you also have the option of having images or a logo made out of holographic vinyl, which will really catch attention. Most sign companies can provide you with a quote for vinyl lettering. Many will offer to lower the price if they can ship the signage to you and have you apply it yourself to the vehicle. This is fine. However, take care to make sure the signage is applied where you want it and straight on the vehicle the first time. The last thing you want is to drive around advertising your company with crooked signage. Perfectionism is the rule with vehicle signage. A lower end and less permanent vehicle signage you may also want to consider for your inflatable business is magnetic signs. This would be a rectangular, or other shaped magnet, with your company information that will stick right to the body of the car. There are certainly limitations to this type of signage. You have limited space to work with, as opposed to the entire body of the car. Photos are not possible with magnetic signage and your company logo can also be tricky if it has intricate detail. In some cases magnetic signage has fallen off of a vehicle or scratched the paint, so be sure to seek out a reputable dealer who specializes in these types of products for vehicles. Magnetic signage is best for the basics of listing your contact information. If you are constrained by a tight budget this may be the way to go with plans to upgrade to vinyl lettering down the road. You should take the time and investment into selecting your vehicle signage as you would any other marketing tool for you business, if not more so. In most cases the signage that you choose for your delivery vehicle will outlive the majority of your marketing materials. And remember, every mile that you travel in a vehicle with well-displayed signage increases your marketing reach, leading to more prospects and ultimately customers. We’ve gone on and on about how amazing it is to have a home based business, and for the most part this is true – it can be a wonderful way to earn an extra amount of money, or to eventually make it your sole source of income. But it’s not right to just say that it is a wonderful thing, as there can be some disadvantages to having a home based business. These businesses are a wonderful thing but the disadvantages should always be weighed out against the advantages so that you can make sure, from the very beginning, that your inflatable jumper business is one that will definitely suit you and your lifestyle. One of the biggest things that you’ll find if you have a home based business is that your time is no longer your own. When you work outside of the home, the minute you get home your time is your own. This is not necessarily what happens when you own a home based business. If you own an inflatable jumper business, you may find yourself coming home to answer emails or to respond to phone calls. 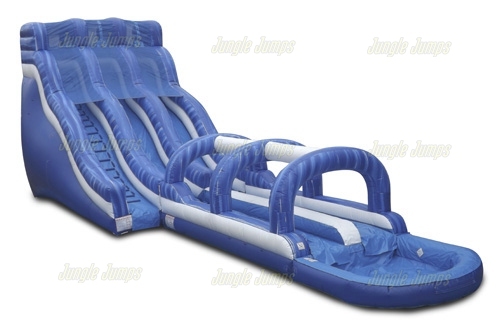 And weekends will likely be spent setting up an inflatable jumper here or there and then deflating and storing them. This can be frustrating for someone who is used to having a lot of free time, but those who thrive on a challenge will definitely excel. Another issue will be multi-tasking. Some people are wonderful at multi-tasking and it is something that they have no problem with. There are others, however, who have a serious problem with multi-tasking and who are only able to do one thing at a time. If you aren’t good with multi-tasking that doesn’t mean that you can’t have a inflatable jumper business, but it does mean that you might need to have a good system set up so that you’re able to make sure that you always keep in touch with clients and so that you’re able to make sure that you get everything done that you need to have done. There are many advantages to a home-based business, but there are some challenges, so make sure you weigh both sides of the situation before you jump headfirst into a new home-based business. One of the most important things that you need to learn when running a business, especially if this is the first business you have ever owned, is that anticipating your customers needs allows your customers to be able to put their trust in you and in your business much more easily. This equals a larger profit margin for you. So when we’re talking about a bounce house business, there are few things that you can anticipate which will help to give your customers a much more secure feeling about your business. Safety – One of the most important things that any renter of your products will be concerned with is safety. 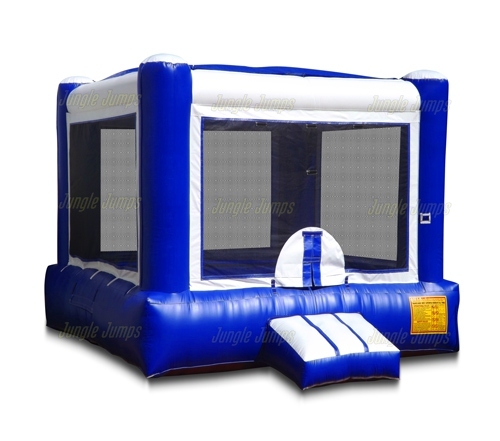 This is especially true for parents will be renting a bounce house for a child’s birthday party, as they will want to make sure that not only are their children safe, but also that any child who was at the party will be safe as well. Anticipate this by making a pamphlet that explains how to stay safe when you’re utilizing a bounce house, and make sure that you show this pamphlet to any potential client. Fun – Another problem that many parents will bring up before they rent from you, is to wonder exactly how much fun you can have with a product like this. There are a number of ways to anticipate this issue before it is even brought up. Digital media makes things very affordable nowadays, and you should easily be able to create a video that shows children using your equipment, and possibly even adults using your equipment, which showcases exactly how much fun your bounce house products truly are. Price – And finally another need that every customer has is a price one. While most people do not mind paying a decent amount to rent something like this, they also do not want to feel like they are overpaying. Anticipate this issue by researching similar companies near you and by making sure that your prices are either lower, or are comparable, to theirs. If you try to rent your equipment for much higher rate, you are definitely likely to lose a lot of potential business. Anticipating a customers needs not only shows them the you’re serious about your business, but also shows them that their needs are extremely important to you, which can help you to create a large and loyal fan base. There are a number of things about owning a business that you need to keep in mind, and one of the most important is making sure that your business is represented correctly. Having your business represented incorrectly will help your business to sink faster than it started, and that is definitely something that you don’t want to have happen. One thing that you may not think about when it comes to business representation is what your delivery crew looks like. How they look, and how they act, reflects directly upon your business, so it’s vital that you make sure that whenever someone who works for you delivers inflatable jumpers that they do so in the correct way. If you are having someone else deliver your inflatable jumpers, even if you are only having friends or family members do it, it’s important that they look the right way. If you are just starting out and do not have a uniform (although it is possible to get affordable polos and to have them embroidered easily), make sure they wear something that is nice looking and that is not offensive. Even wearing simple dark blue t-shirts and khaki pants is a very respectful way to look, and will go a long way to helping your customers to feel as though they have rented from the right person. The other thing you need to make sure of is that anyone who is setting up inflatable jumpers for you knows how to act. Make sure that they know that they are to be responsible and respectful at all times, and saying “ma’am” and “sir” can go a long way towards that. People enjoy being treated respectfully and they will think better of your business if you treat them this way. Make sure that anyone who sets up the inflatable jumpers for you knows how to set it up properly – run through the process with them a few times and make sure you have them do it for you without any help from you, as there is nothing less professional than someone bumbling around trying to set something up without knowing how to do it. Anyone who sets up inflatable jumpers for you is a direct representation of your business, so make sure that they are able to do so in a respectful manner, and that they know exactly what they’re doing.